Simons Peking is considered an institution. I’d heard of it before and have always wanted to go and finally got the opportunity one Sunday night with a group of about 9 people. 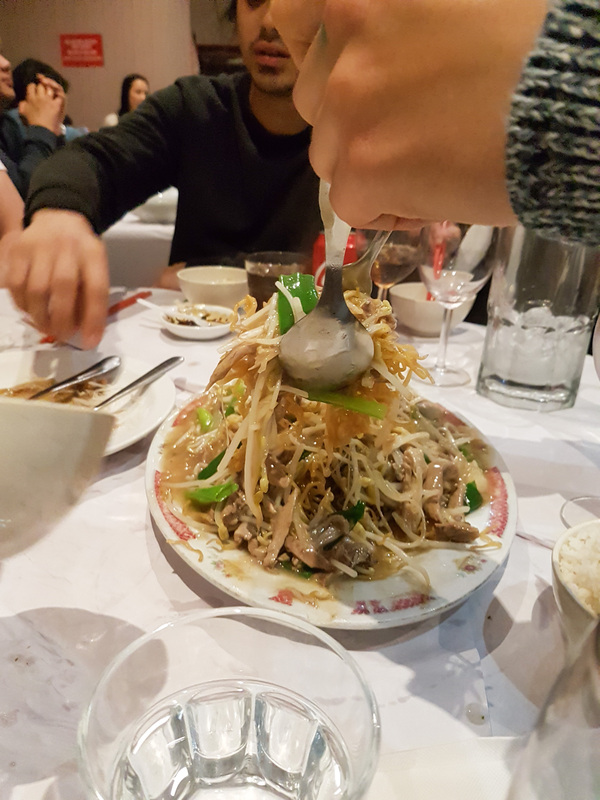 We ordered 4 ducks for 9 people and had planned on getting a bunch of other dishes, however they have a rule that only allows you to order two other dishes with a duck. We ended up not bothering with the extra dishes as the first option came with stir fried crispy duck noodles and duck bone soup. 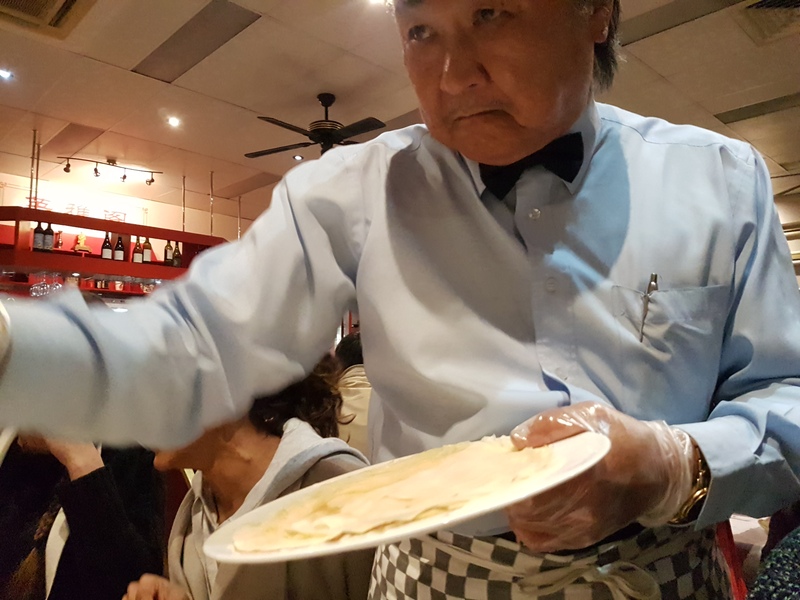 So as per tradition, when the duck comes out (pictured above in all its glory), Simon, the proprietor himself comes out and tosses pancakes at your plate for you to catch them. 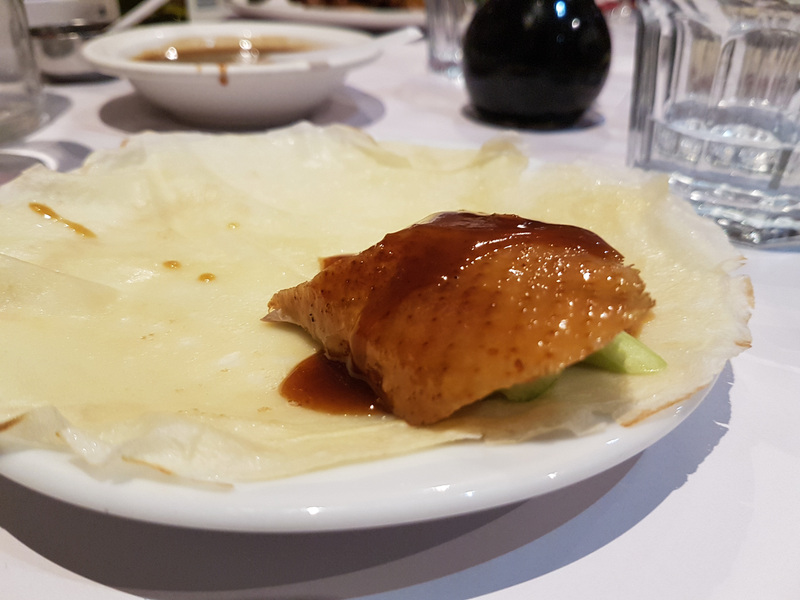 After the first round of pancakes went out to everyone we dug in, it was fantastic, crisp skin, kind of fatty, juicy meat, all wrapped in a delicate pancake finished with hoisin, cucumber and spring onion. After a countless number of pancakes the noodles arrived. I wasn’t too sure what to expect but they came out and were delicious, the sauce, the crunch, the duck, it was all so good and almost on par with the peking duck itself. Lastly the bone soup, it was light, refreshing and extremely palette cleansing. I didn’t take a picture because, I mean, how attractive can soup really be. Simons Peking is somewhere for special occasions and if I had my way, a monthly Sunday dinner. It’s just a delicious meal in a friendly and fun atmosphere (BYO is a bonus). 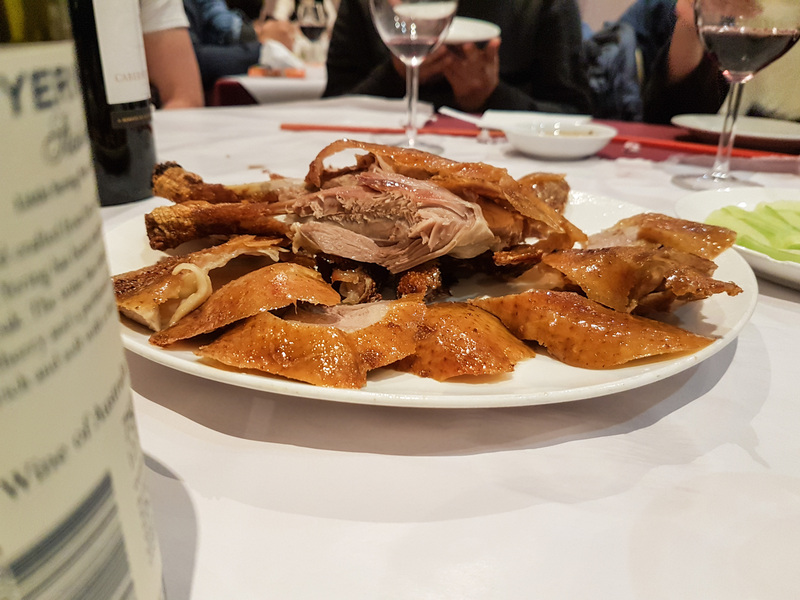 Posted on September 13, 2017 by AdrielPosted in Australia, Melbourne, SteakLESSTagged box hill, peking duck.